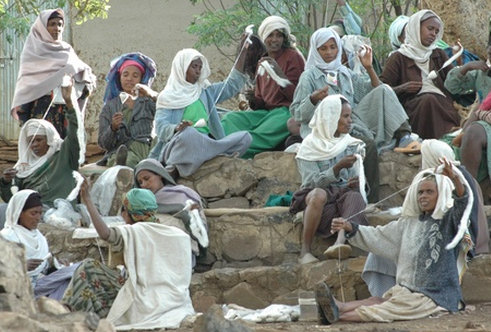 Awra Amba is a village in the Amhara region of Northern Ethiopia founded by Zumra Nuru (above) where remarkable improvements have been made in the standard of living, education, gender equality, and health through a form of utopian socialism. The Awra Amba Experience is an interactive documentary work-in-progress which will offer a platform for dialogue with and about the community and the ideas that are transforming life there. The Awra Amba project exemplifies the iterative, evolving quality that we are seeing as producers develop work in the context of digital. The interactive proposition has grown out of a thirty minute linear documentary that launched on International Women’s Day in 2010. After a screening to a packed theatre at the Frontline Club in London turned into a long and heated debate, director Paulina Tervo realised that the film had potential as a, “a catalyst for discussion on really big universal themes – religion, democracy, education. What is a cult? What is a Utopia? Socialism?”. Inspired by Kat Cizek’s long-term, collaborative approach to digital production (Filmmaker in residence, Highrise) Tervo decided that they should build a bigger project on Awra Amba, and she and her husband and collaborator Serdar Ferit have been gradually developing the interactive version ever since. I’ve been interested in the project since I chaired a session with Paulina at Afrika Eye in 2011, and have talked to her a couple of times about how things are progressing. The evolution of the Awra Amba Experience is interesting from a number of points of view. Clearly the village is a fascinating subject, and Tervo has been giving a lot of thought to how to shape the interactive proposition to provide a stage for reflecting village life, and provoking a meaningful dialogue about it. In terms of ethics; Tervo is trying to rewrite what could be a colonial style media relationship into one that is reciprocal; with the village collaborating in editorial thinking, while the media makers retain sufficient editorial independence. The project is also interesting as a case study in the use of social media for audience building. Tervo and Serdar have already produced some wonderful 360 photography in the village that you can see in the promo above. 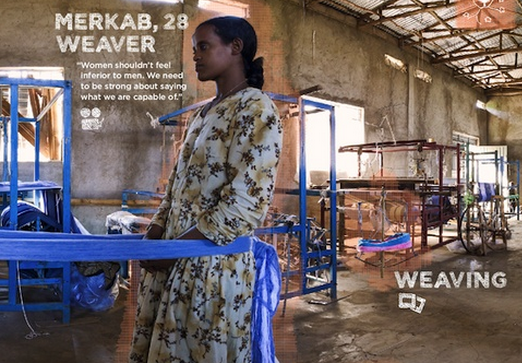 Awra Amba is a weaving community and I’m intrigued by an idea that Tervo has to produce a scarf that is designed to reflect the conversations going on within the project. She and Ferit are also hatching plans to extend the media project into an income generating fair trade business together with the Awra Amba community. Update – April 2014 – You can help the Awra Amba Experience come about by supporting the crowd-funding campaign. You’ll find the interview with Paulina Tervo here.